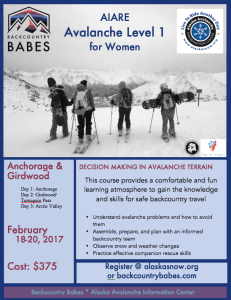 February 18-20, 2017 Anchorage & Girdwood Register now. 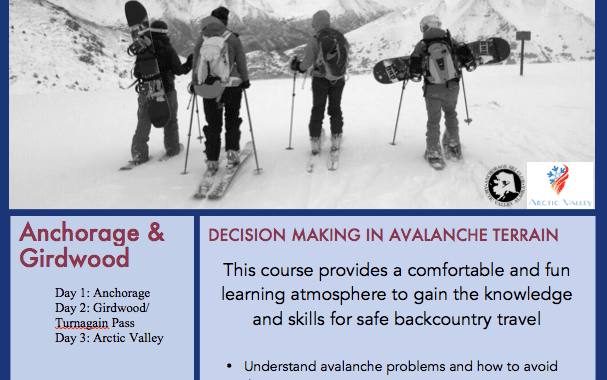 You and your female backcoutry partners will have fun learning skills together. Gain confidence. Gain competence. Get ouside and play!